Gymnastics Ontario is committed to protecting your privacy. By using this Web site, you are indicating agreement to this privacy statement. If you do not agree with Gymnastics Ontario’s privacy statement on this Web site, please do not provide us with any personal information. Please read the complete Gymnastics Ontario privacy statement, which is intended to explain data collection and use in situations where you provide personal information to Gymnastics Ontario. This privacy statement applies to www.ogf.com and does not apply to other online or offline Gymnastics Ontario information or materials in any offline format. You may be asked to provide information that personally identifies you or allows us to contact you. Through your use of this Web site, Gymnastics Ontario may also collect certain information, such as your Internet Protocol (IP) address, browser type, operating system, domain name and access times. This information is used only to ensure the proper operation of the Service and to maintain quality of service. Gymnastics Ontario will not share any personal information with third parties without your permission, other than if required to do so by law, or in a good faith belief that such disclosure is necessary to either comply with the law, prepare and defend the rights or property of Gymnastics Ontario, or to protect a user of the Web site. Any use of personal contact information is for Gymnastics Ontario administration use only. Any unauthorized use is strictly prohibited. For permission please contact the Operations Manager at info@ogf.com. 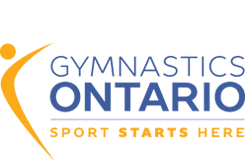 Any non-personal information such as ideas, suggestions or other submissions that are sent to Gymnastics Ontario regarding improvements to this Web site cannot be considered by Gymnastics Ontario to be confidential or proprietary information. Gymnastics Ontario shall, in these cases, not be restricted from using any such information for any purpose or be obligated to pay any compensation for it. Gymnastics Ontario reserves the right to make changes to this privacy statement, and occasionally update this privacy statement, as necessary. The date of last change will be recorded pursuant to the date of last revision found at the top of this privacy statement.